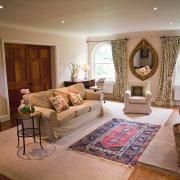 The Stable Wing, Thorganby Hall offers a high quality self-catering two storey apartment (sleeps 1-4 people) with beautiful views of the Lincolnshire Wolds. It has a private entrance independent of the main Hall. It is available to rent from one single night up to six months. It is ideally suited to single business people working away from home. Ample car parking is available adjacent to the apartment. The Stable Wing is fully centrally heated. Hot water and central heating controls can be set by the guest. I had the pleasure of staying in the Stable Wing for 9 nights while working in the area. It is the perfect retreat at the end of a long day, comfortable, quiet and well equipped. 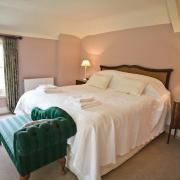 The only downside was that I spent so little time there due to work, it is the perfect base to explore the Lincolnshire Wolds and North Lincolnshire.